On my recent trip to London I picked up a gorgeous set of Liberty of London Fabrics. I took one of the fabrics as a starting point to make a London inspired floss combination. First I put together a set that was a near exact match with the colours used in the fabric but that didn't work for me. So I 'toned down' some of the colours and ended up with (from left to right) DMC six stranded floss no's 471, 321, 826, 829 and 728. 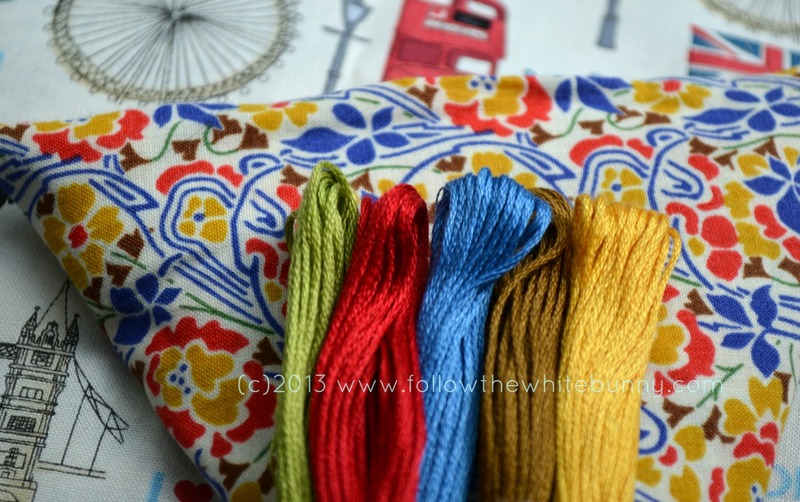 To me this palette is 'London' translated in embroidery floss colours! Love the fabric and the floss ~ Liberty is my most favorite fabric ever! What are you going to do with all this goodness?